Summary: Chance of pop-up rain and storms today. Monday is likely a washout. Today, we have a 50% chance of rain with our high temperature reaching about 83 degrees. Winds will be breezy out of the south southwest at 10 to 15 mph. While yesterday was very on-and-off rainy and drizzly and gray, today you will likely see more sun and blue skies. However, there is an increased amount of instability in the atmosphere, so pop-up showers could turn into storms with lightning and gusty winds. 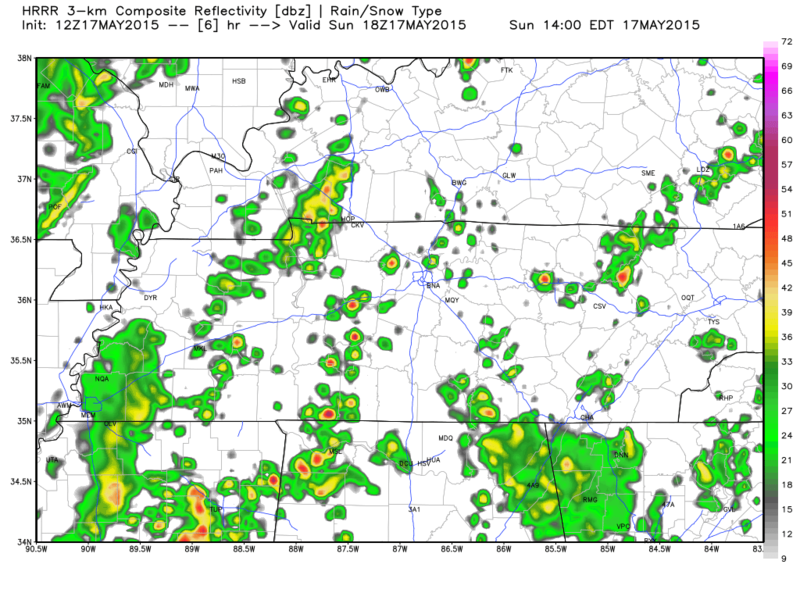 The HRRR model simulated radar is indicating an increase of pop-up showers starting at about 1pm today. They will likely hang around for us until about 7pm tonight. Tonight’s overnight low will fall to about 67 degrees and keeping that 50% chance of rain. A cold front will push its way through Middle Tennessee on Monday, bringing with it a chance of rain at 70% and a high temperature of about 80 degrees. This cold front won’t bring with it widespread severe weather, however one or two storms could get strong enough to warrant a warning. 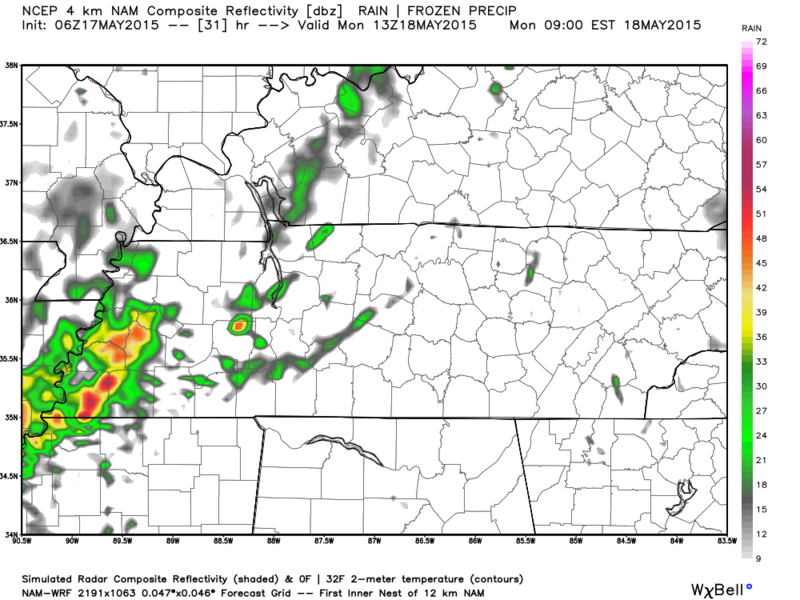 The NAM4 model offers us a glimpse into what to expect for Monday. 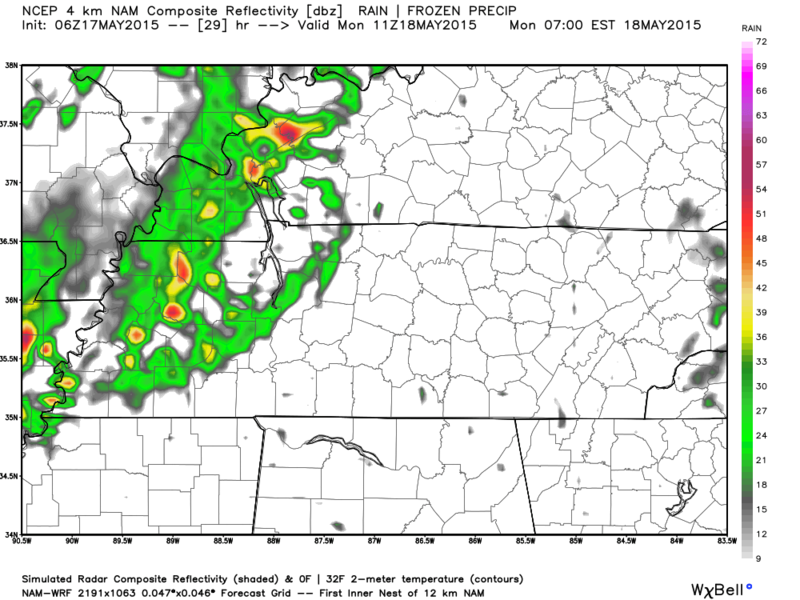 A line of showers and storms will move into West Tennessee around 4 am. As this line moves closer to us, it appears to just fall apart. 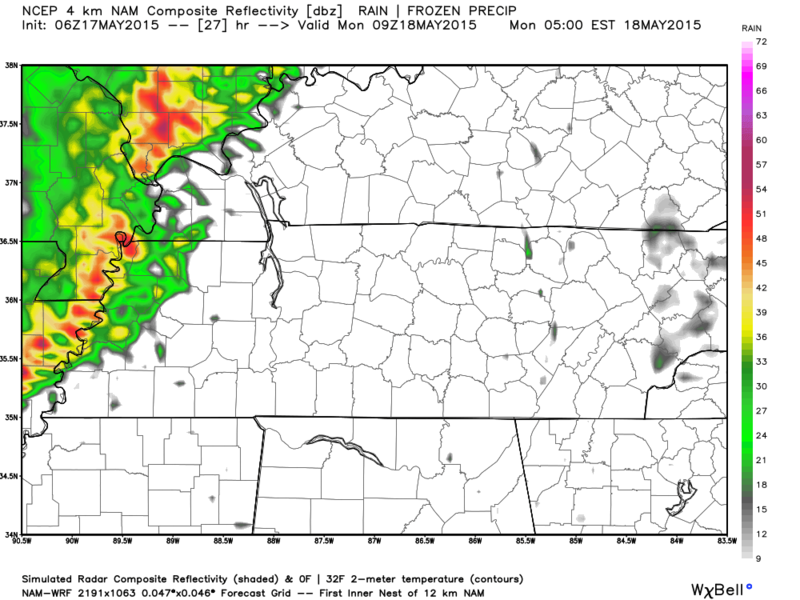 Here’s NAM4’s simulated radar for 6am. 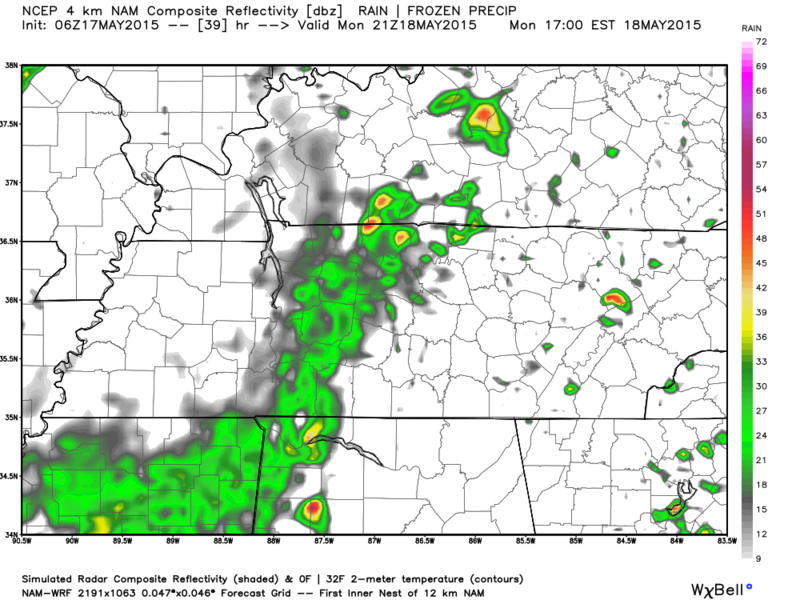 By the time it gets to us, NAM4 is saying we may only get a rainshower. 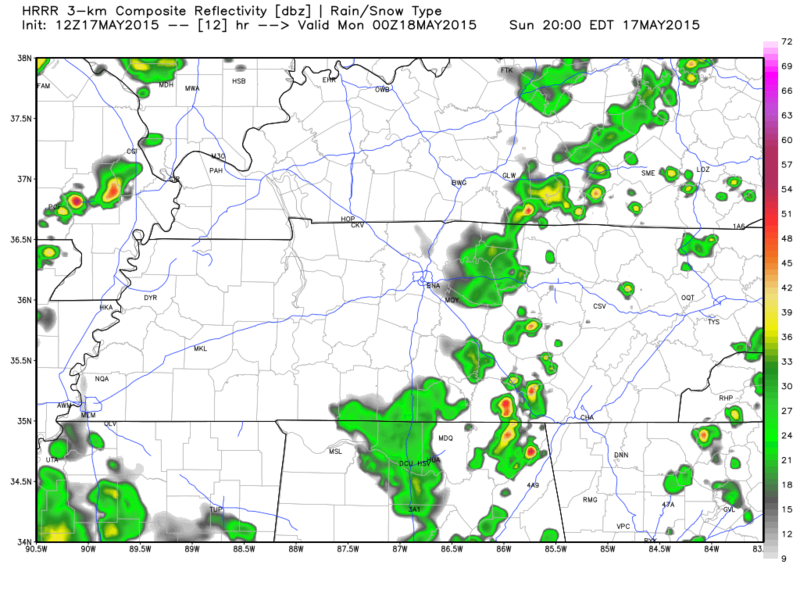 The cold front does, however, start generating some more rain around 4pm tomorrow afternoon as well. 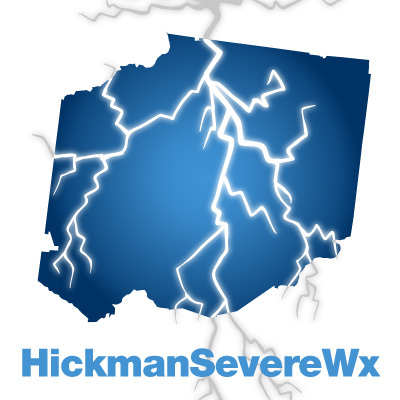 Monday night holds a 50% chance of thunderstorms with an overnight low of 64 degrees. The middle of the work week brings cooler temperatures after the cold front moves through, with temperatures in the upper 70’s. Wednesday, Thursday, and Friday bring back rain chances currently at 30%.